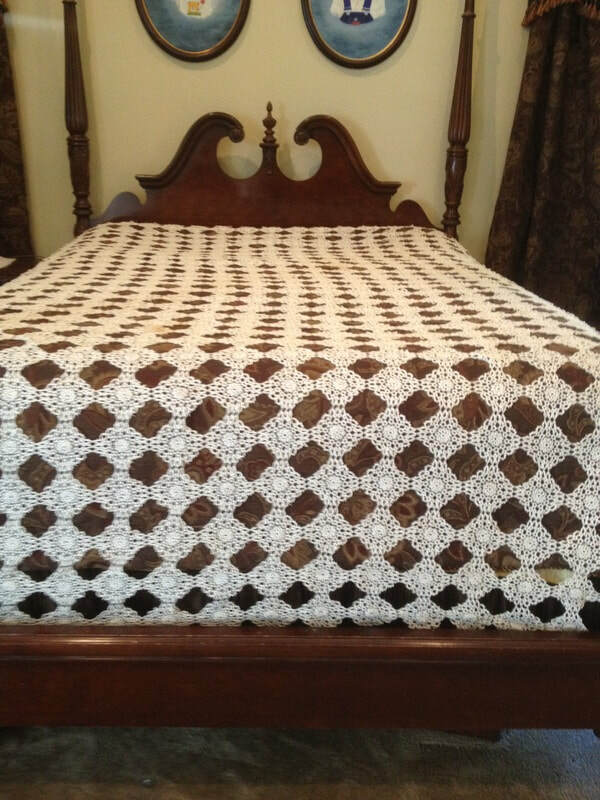 82x96 Tattted bedspread tatted by Susie Landrum. She tatted one for all her grandchildren. 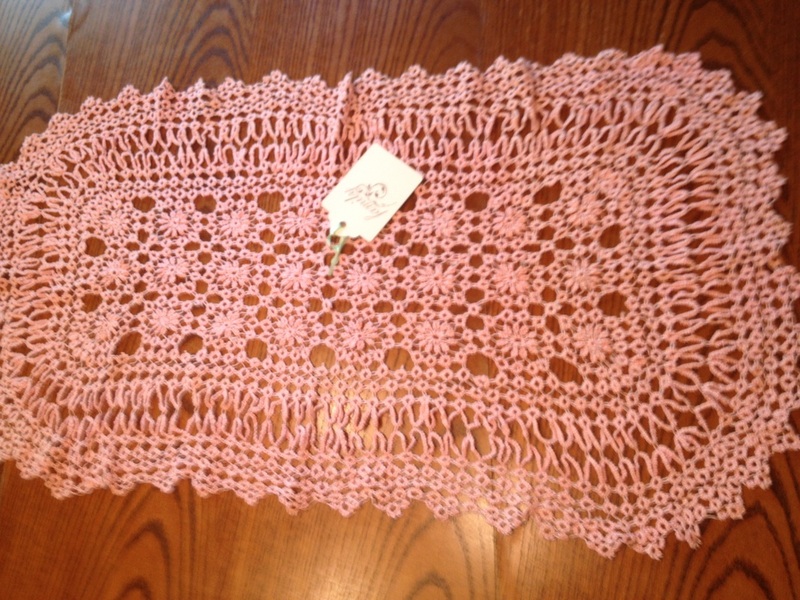 I use to display it with ribbon as curtain, that is until Sadie Allison stated " Girl you do not know what you have here." It is now carefully packed away. 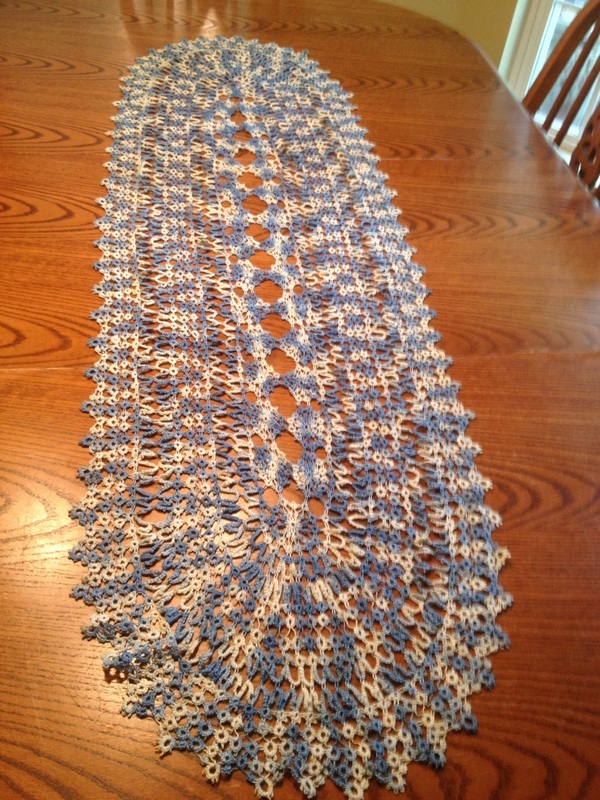 I am one of the few grandchildren that still has her remarkable,time consuming work of art. Updated 4-18-15 This was tatted by Shirley Stubblefield my mother. 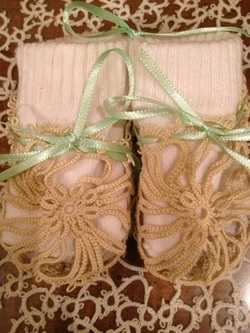 This tatted pair of baby booties was made by Shirley Stubblefield, my Mother for her future great-grandchild. 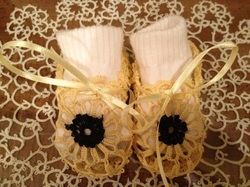 They were made for her second grandson. 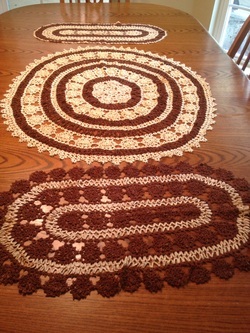 My mother has always been generous, if she made something for one she made for both! 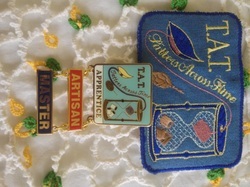 I stated earlier that I would be pinning heriloom tatting done by Susie Landrum. 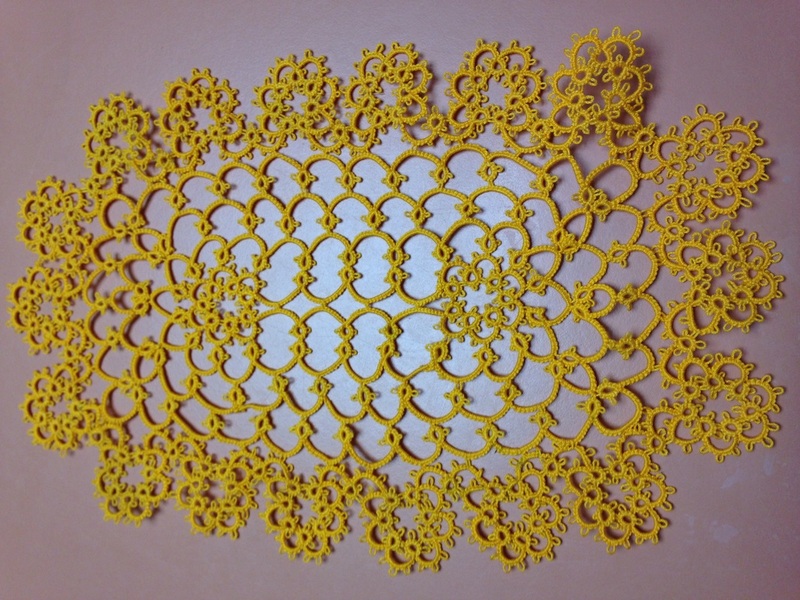 Here is another piece of her tatting. 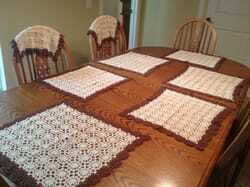 She ran out thread and finished it with scrap thread she had leftover thread. 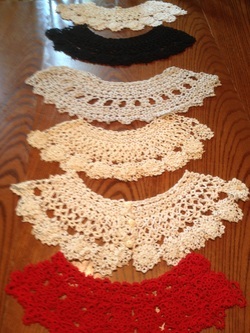 Here are 3 pieces of tatting, done by my grandmother Susie Landrum. 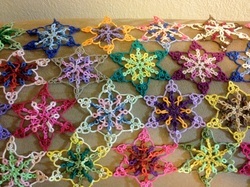 As I stated I will be putting more of her tatting on my web site. She was a wonderful lady who love to tatt. I know that she is smiling down from heaven with joy that her grandaughter has finally learned how to tatt. 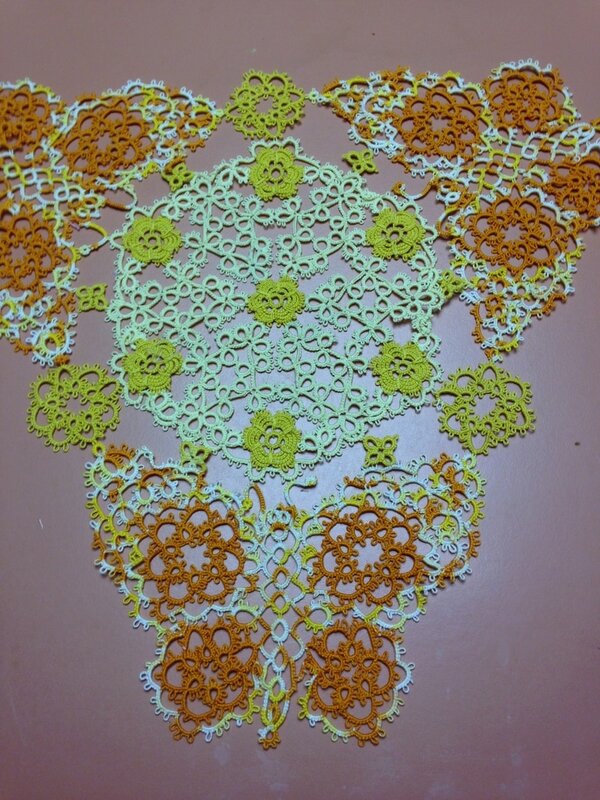 THIS IS A WONDERFUL PIECE OF TATTING WITH MANY COLORS. 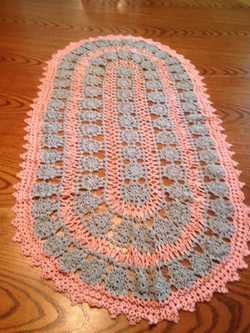 IT IS A ONE OF KIND, AS ONLY ONE WAS MADE LIKE THIS. 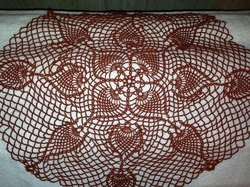 MY DAUGHTER-IN-LAW DISPLAYS THIS PIECE OF TATTING IN HER HOME. THIS WAS TATTED BY SHIRLEY STUBBLEFIELD. I thought I would put a face to my grandmother. 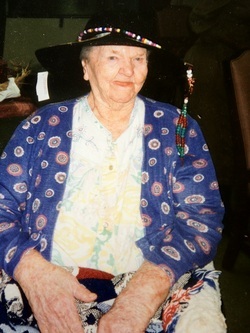 This picture was taken when she was 98 years old. It was crazy hat day at the nursing home. She could no longer tat as she has a stroke that took her eye sight. She was still as funny and witty and a joy to talk to. 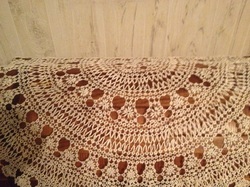 This was tatted by Susie Landrum and is part of my heriloom collection. 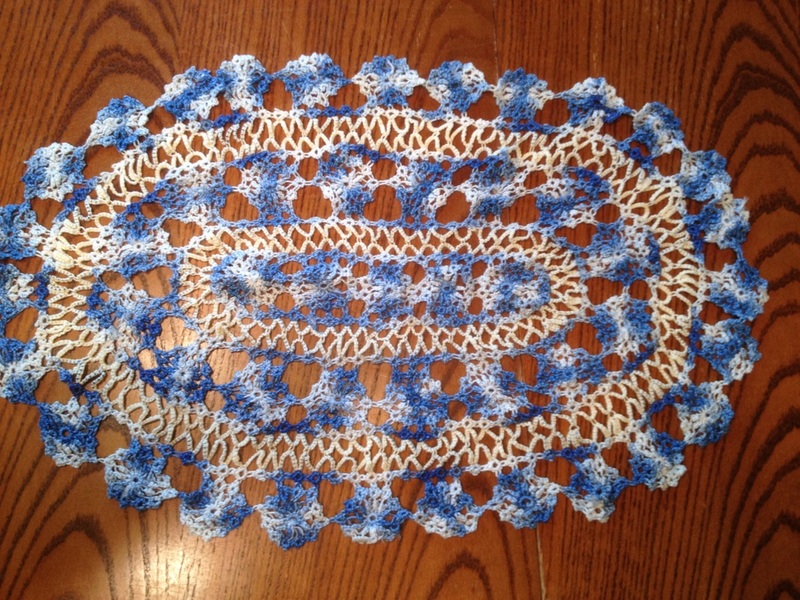 She ran out of thread and finished with thread she had on hand. 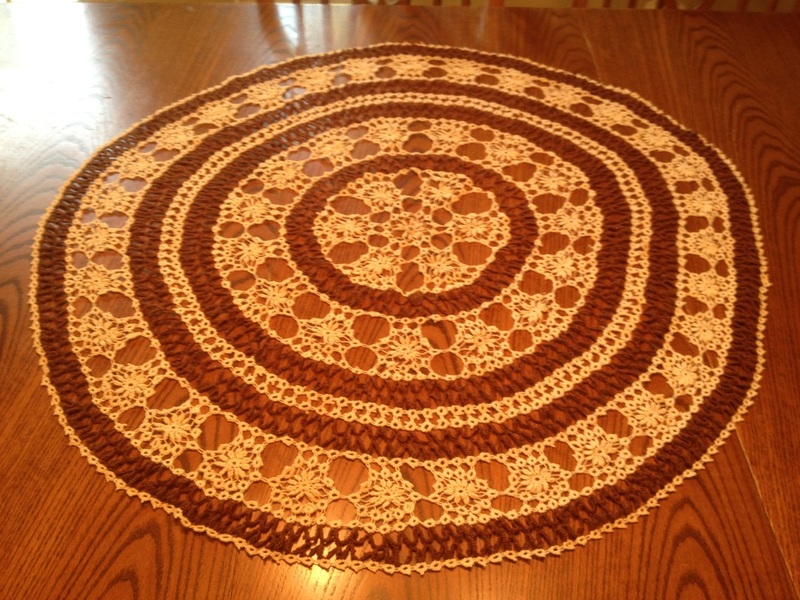 Beautiful oval Large piece done by Susie Ladrum. 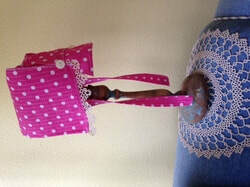 It is draped over a wooden chest. 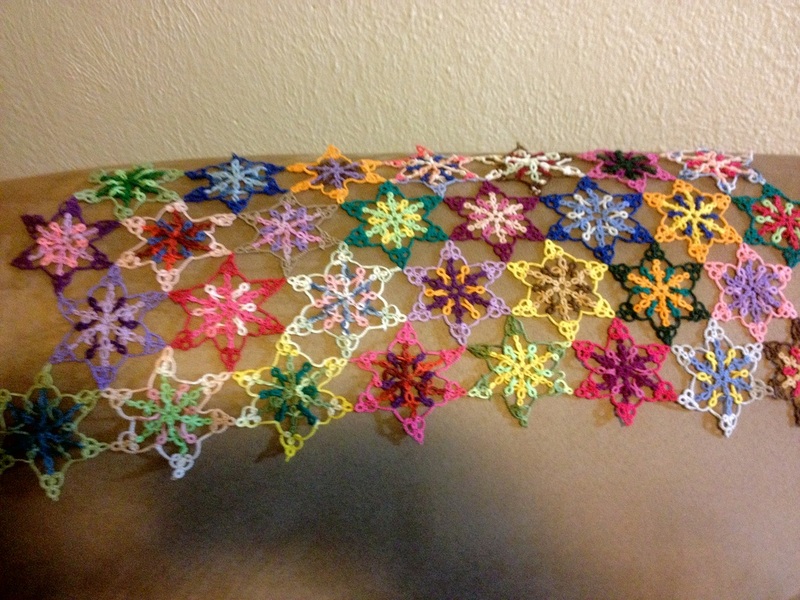 I really did not realize the amount of hours that went into tatting. 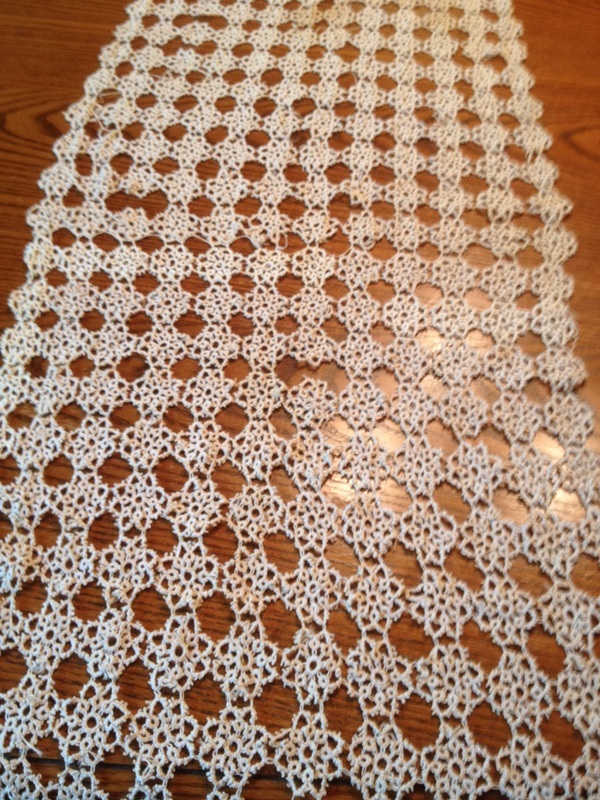 My grandmother never did anything small. Pink and Blue tatted by Susie Landrum meaures 18 x 36 inches. Family heirlooms several tatted collars, tatted by Susie Landrum and Shirley Stubblefield. 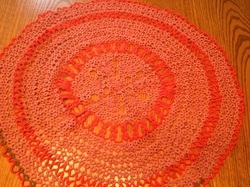 Updated 6-15-12 Pink tatted table runner done by Susie Landrum. Update 6-7-12 Tan and Brown Tatted Oval Piece done by Susie Landrum.